Yes, tracked, if you don’t take proper measures. Moreover, being private isn’t possible with Bitcoin as it is a permissionless protocol. However, you can secure your privacy and become its anonymous user if you take care of certain things. First of all, you must not let your Bitcoin address get exposed in public. For this, you should use a new Bitcoin address every time, post which you can use IP obfuscation methods. Or you can switch to anonymous Bitcoin wallets that do it for you at the backend. Wait, but are there any anonymous BTC wallets out there? Well, there are. …which shows that they know what they are doing and are serious about it. Samourai wallet is encrypted on the device using AES-256 encryption and never communicates with any servers. Apart from that, you get robust features such as PIN code and seed word backup to store your funds safely. No address reuse: Therefore, Samourai will alert you if you have sent to an address before, helping prevent unintentional address reuse. Protection with STONEWALL: Samourai provides, by default, a transaction that increases the difficulty of linking inputs to outputs of a transaction, making clustering wallet addresses and associated metadata more difficult. Also, STONEWALL enables Samourai transactions to produce higher entropy than standard bitcoin transactions and often resemble CoinJoin transactions on the blockchain to make it more complicated to analyze. Tor and VPN Support: The wallet is Tor and VPN enabled, allowing you the ability to route all transactions through an anonymous IP address. Lastly, the wallet also comes with segwit support which naturally helps in lowering your BTC transaction cost. 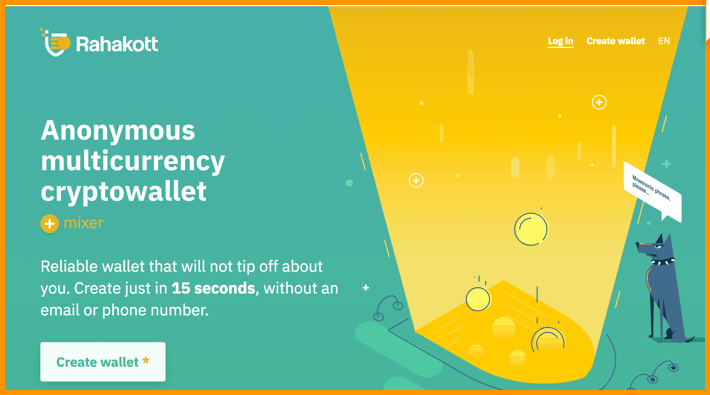 Rahakott wallet is for those who want to protect their privacy and remain anonymous while transacting in several other currencies (including BTC). Rahakott is a web multi-currency wallet that allows its users to make anonymous transactions. And in its short period of existence, it has processed 20 million dollars in BTC. Moreover, you don’t need your phone number or email ID to make a wallet on Rahakott, so there is no question of losing your personal data. As of now it is available in 4 languages (English, Chinese, Japanese, Russian) and supports 6 cryptocurrencies (BTC, BCH, LTC, ETH, DASH, ZEC) including segwit support. Apart from that, you have the option to select security features such as OTP, password, or 2-FA authentication for your Rahakott wallet. Mixer: Built-in mixer for cryptocurrencies make it impossible to track transactions. HD Wallet: HD wallet ensures there is no reuse of same addresses. Tor: Wallet can be accessed on Tor network to enhance your IP privacy. Here is the link for the Tor-enabled wallet. 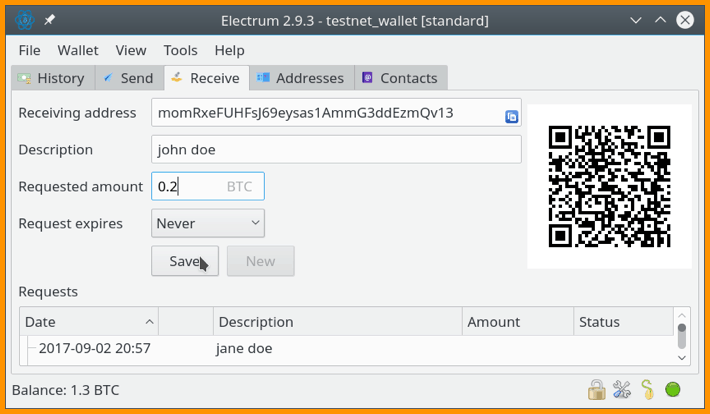 Electrum is one of the oldest lightweight Bitcoin wallets operating in this space since 2011. It is also one of the most trusted Bitcoin wallets available in the market and is an open-source wallet under an MIT license. It also supports integration with third-party hardware wallets such as Ledger, Trezor, and Keepkey but is not an anonymous wallet by default. However, if you use Electrum wallet on Tails operating system which is very privacy-centric and is Tor enabled, it can be anonymous. Apart from that, there is no other requirement for protecting your privacy as it is an HD wallet that provides you with seed and takes no personal information. At present, it is available for Windows, Mac OSX, and Linux. BitLox Limited is a dynamic startup company, incorporated in Hong Kong to produce high-grade Bitcoin and cryptocurrency hardware wallets. The unique thing about this wallet is it produces a range of hardware wallets, especially for privacy-centric users. It is called BitLox extreme privacy set, and is slightly on the paranoid side but a remarkably anonymous wallet. 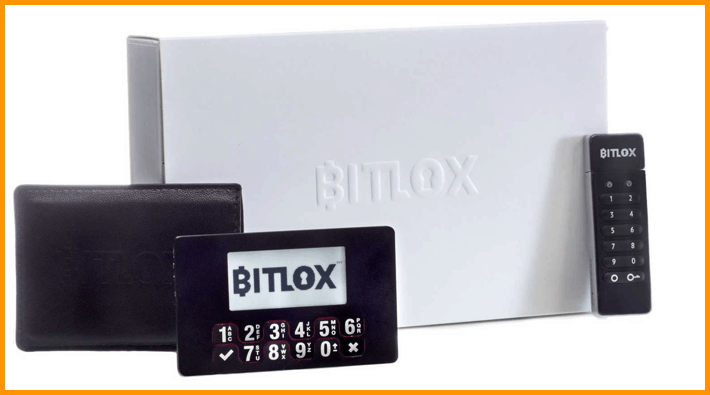 With this privacy set, you get the absolute best-in-class privacy solution – an unbeatable combination of BitLox ultimate hardware Bitcoin wallet and BitLox military grade USB vault with TAILS OS preinstalled which protects your IPs. NIST certified True Random Number Generator to secure your signatures. HD wallet provides over 100 wallets, each of which can generate millions of unique addresses. Hidden Wallets: Hidden wallet data is indistinguishable from random bytes – only YOU can know they are there. Emergency PIN to wipes all user data on the device. Full alphanumeric keypad directly on the device. 12, 18 or 24-word mnemonic backups enable recovery of all funds if your BitLox is ever lost or stolen. These features and privacy, however, come at a price which is clear from the fact that this privacy extreme set will set you back by $198 per device. Getting your required amount of privacy with Bitcoin transactions is quite possible. You only need to take care of a few things that I mentioned in the introduction. But if you don’t want to do that, you should use either of the wallets mentioned above. 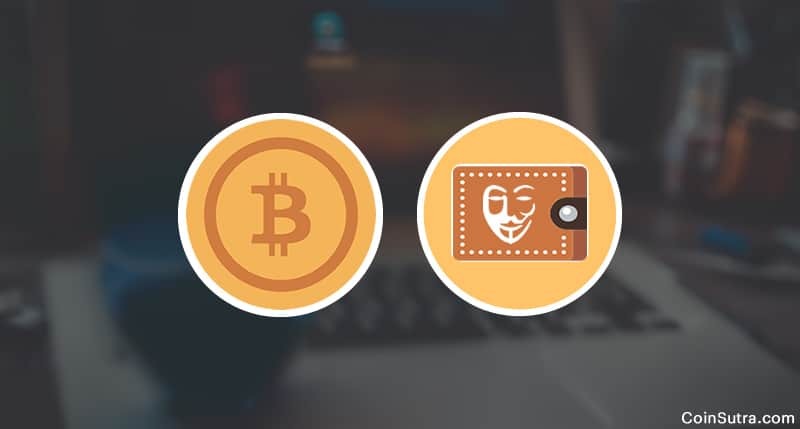 You can also set up your custom-made wallets or methods to get an anonymous Bitcoin wallet. This exclusive guide will help you: 6 Ways To Guarantee Anonymity When Making Bitcoin Transactions. That’s all from my side in this article. I hope it helps you in choosing the right wallet. I find brd wallet is better than all these wallets.I can add INR currency to better track my portfolio. What about wallets like Jazz and Mycellium? Aren’t they secured towards anonymity enough?